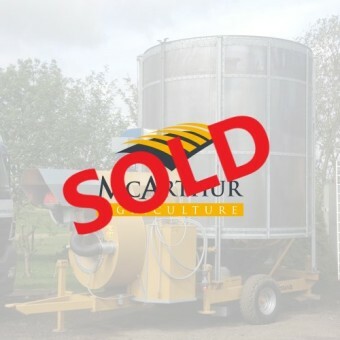 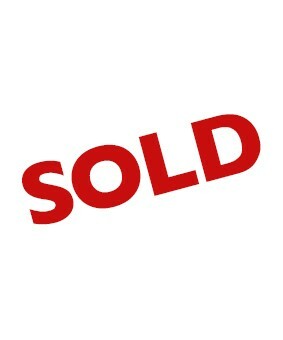 Used mobile grain driers add value to your crop at a low cost of ownership. 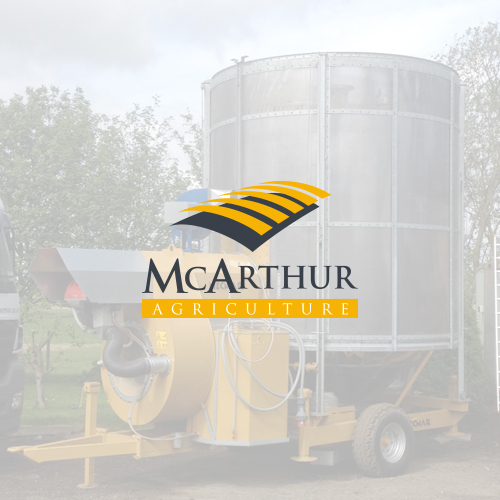 Our used mobile grain driers have undergone a comprehensive inspection and are tested and setup ready for work by McArthur Agriculture technicians. 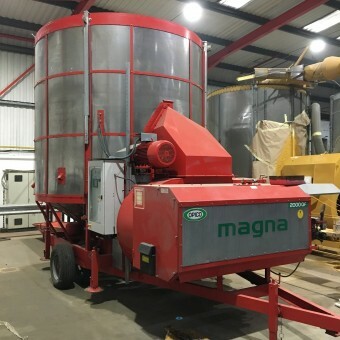 Used Mecmar FSN 15 T mobile grain drier, 2004, 2257 Burner Hours, Electric Drive, Riello Oil Burner, Automatic, Aspirator Cleaner, Cross Auger Unload, 15 Tonne Capacity. 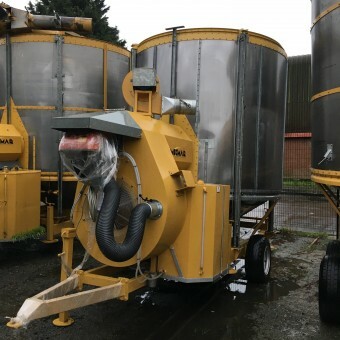 Refurbished Mecmar 18/90 mobile grain drier, 1989, PTO Drive, Riello Oil Burner, Gravity Empty Over Screens, 18t Capacity. 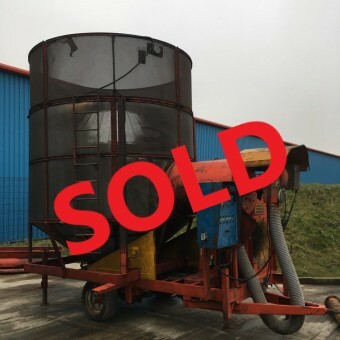 Used Mecmar D 18 T mobile grain drier, 2002, 1100 hours, PTO Drive, Riello Oil Burner, Gravity Empty Through Screens, 18t Capacity. 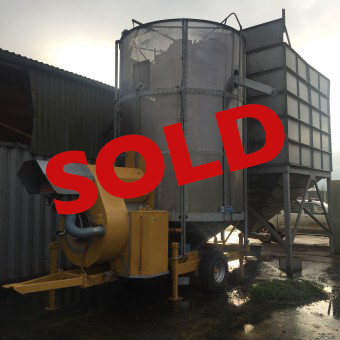 Used Mecmar D 20 T mobile grain drier, 2004, 2257 Burner Hours, Electric Drive, Riello Oil Burner, Aspirator Cleaner, Gravity Empty Through Screens, 20 Tonne Capacity. 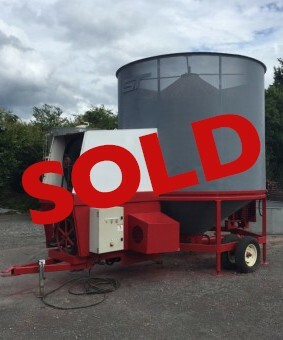 Refurbished Mecmar 13/90 mobile grain drier, 1989, PTO Drive, Riello Oil Burner, Gravity Empty Over Screens, 13t Capacity. 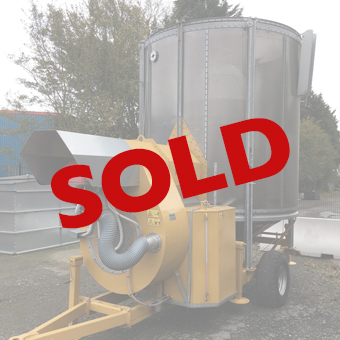 Used Pedrotti Master 270 mobile grain drier, 2005, 5,949 fan hours, PTO Drive, Oil Burner, Gravity Empty Over Screens, Aspirator Cleaner, 27t Capacity. 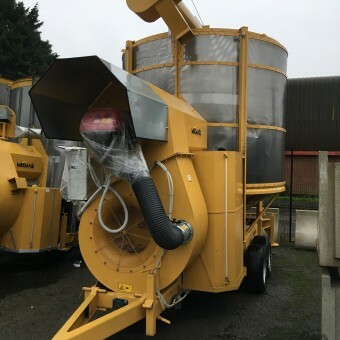 Used Agrimec Opico Magna 2000QF Mobile grain drier, 2014, Electric Drive, Riello Oil Burner, Automatic, Aspirator Cleaner, Two Way Cross Auger Unload, 20 Tonne Capacity. 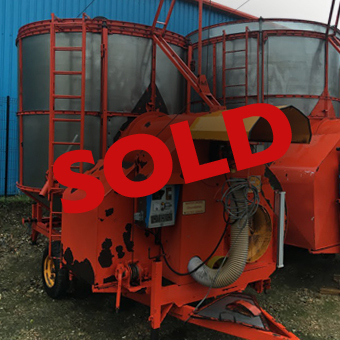 Used GT Opico 600 QF mobile grain drier, 1998, Electric Drive, LPG Burner, Automatic, Electric Cross Auger Discharge, 12t Capacity. 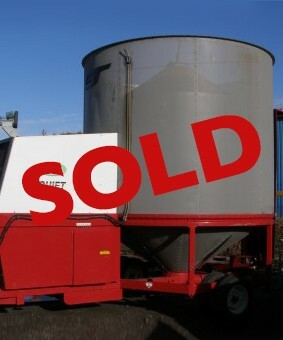 Used Pedrotti Master 120 mobile grain drier, 1995, PTO Drive, Oil Burner, Gravity Empty Over Screens, 12t Capacity. 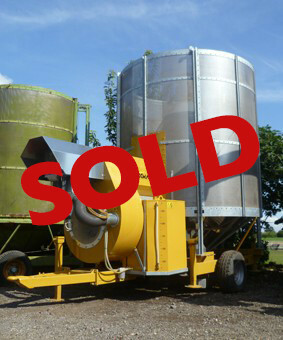 Used GT Opico 525 XE mobile grain drier, 1999, Electric Drive, LPG Burner, Electric Cross Auger Discharge, 12t Capacity. 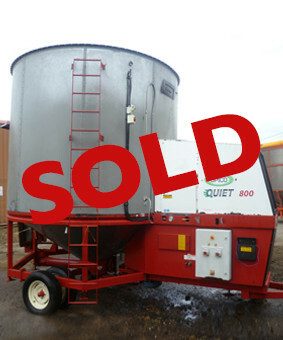 Used GT Opico 590 QF mobile grain drier, 1994, Electric Drive, LPG Burner, Gravity Empty Over Screens, 12t Capacity, Quiet Fan. 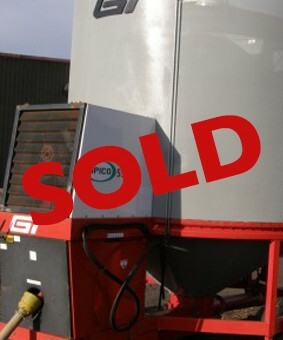 Used GT Opico 600 QF mobile grain drier, 2003, Electric Drive, LPG Burner, Automatic, Cross Auger Unload, 12t Capacity. 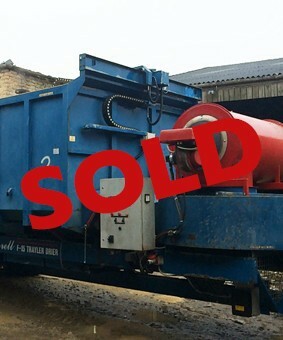 Used GT Opico mobile grain drier, 1998, PTO drive, LPG Burner, Hydraulic Cross Auger Discharge, 12t Capacity. 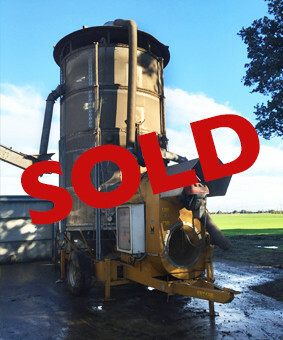 Used Pedrotti Master 145 mobile grain drier, 1994, 2938 fan hours, PTO Drive, Oil Burner, Gravity Empty Over Screens, 14.5t Capacity. 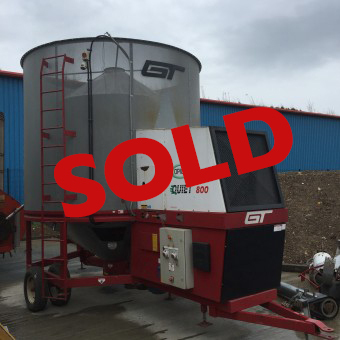 Used GT Opico 600 QF mobile grain drier, 2002, Electric Drive, LPG Burner, Automatic, Electric Cross Auger Discharge, 12t Capacity. 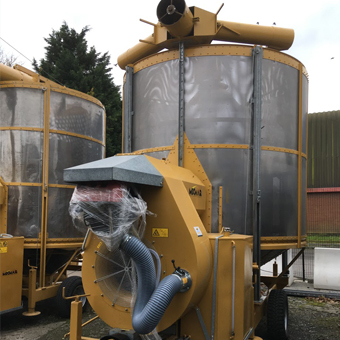 Used Mecmar D 20 T mobile grain drier, 2004, Electric Drive, Riello Oil Burner, Automatic, Aspirator Ready, Gravity Empty Through Screens, 20t Capacity. 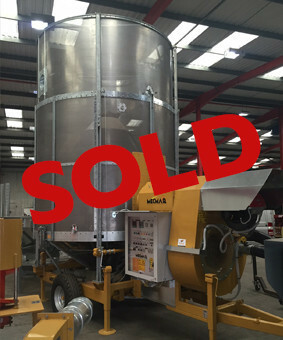 Used Mecmar 13/90 mobile grain drier, 1989, PTO Drive, Riello Oil Burner, Gravity Empty Over Screens, 13t Capacity. 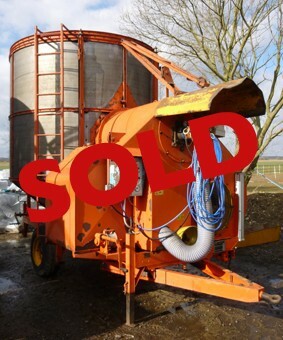 2008, 856 Burner hours, PTO drive, Oil burner, Aspirator cleaner, 12t capacity, Gravity empty through screen. 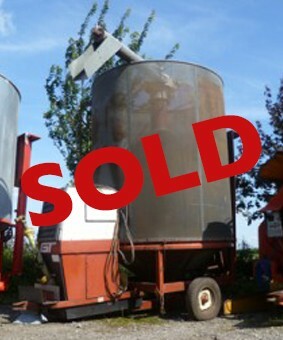 Used Pedrotti Master 100 mobile grain drier, 1990s, Electric Drive, Oil Burner, Gravity Empty Over Screens, 10t Capacity. 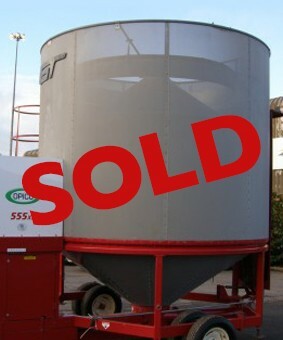 Refurbished Mecmar 15/90 mobile grain drier, 1998, PTO Drive, Riello Oil Burner, Gravity Empty Over Screens, 15t Capacity. 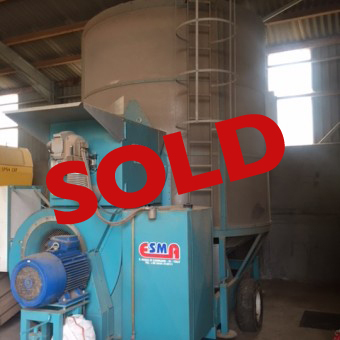 Used Esma ES150F mobile grain drier, 2008, Dual Drive, Oil Burner, Gravity Empty Through Screens, 15t Capacity. 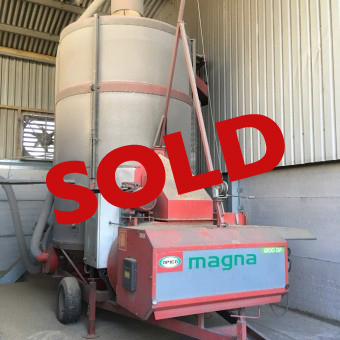 Used Mecmar S 35 T mobile grain drier, 2009, 1739 burner hours, Electric Drive, LPG Burner, Automatic, Aspirator Cleaner, Gravity Empty Through Screens, 35 tonne capacity. 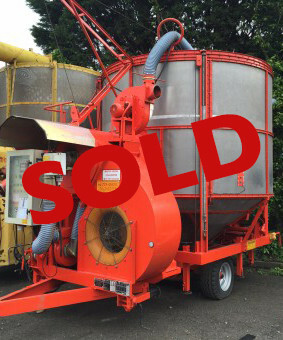 Used Agrimec Opico 1200 QF mobile grain drier, 2005, 2,670 hours, Electric Drive, Oil Burner, Automatic, Cross Auger, 12 tonne capacity. 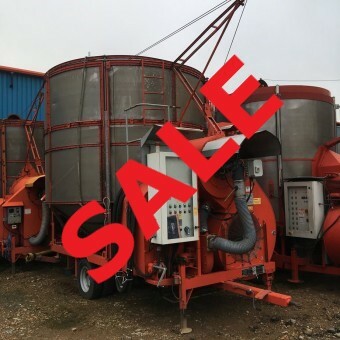 Used Mecmar SSI 25 T mobile grain drier, 2007, 1,200 hours, Tractor Drive, Riello Oil Burner, Aspirator Cleaner, Gravity Empty Through Screens, 25t Capacity. 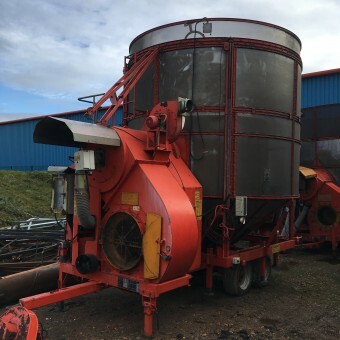 Used Mecmar D 18 T mobile grain drier, 2008, 2,042 burner hours, Dual Drive, Riello Oil Burner, Gravity Empty Through Screens, 18t Capacity. 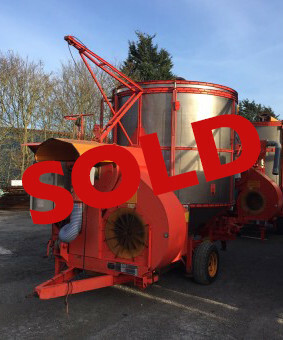 Used Agrimec Opico 1200 QF mobile grain drier, 2010, 1,100 burner hours, Electric Drive, Oil Burner, Cross Auger Unload, 12t Capacity. 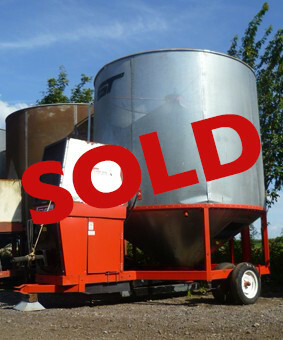 Used Pedrotti Master 120 mobile grain drier, 1989, PTO Drive, Oil Burner, Gravity Empty Over Screens, 12t Capacity. 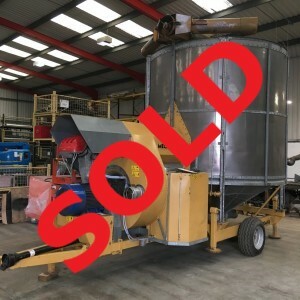 Used Pedrotti Master 250 mobile grain drier, 2011, 3,100 fan hours, Electric Drive, Oil Burner, Gravity Empty Over Screens, Automatic, Aspirator Cleaner, 25t Capacity. 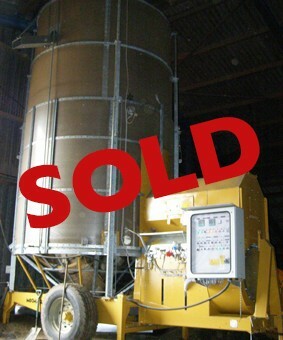 Used GT Opico 380 Mobile Grain Drier, 1988, PTO Drive, LPG Burner, Gravity Discharge, 9t Capacity. 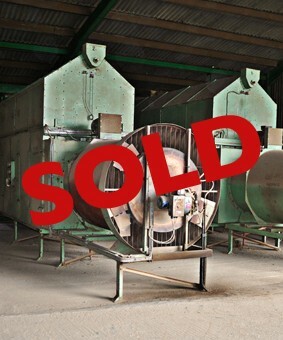 2012, 427 Burner hours, Electric drive, LPG burner, Automatic, Gravity empty through screen, Ready to view now. 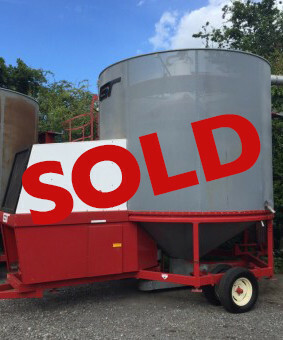 Used Mecmar mobile grain drier, 2009, 1,362 Burner Hours, PTO Drive, Oil Burner, 18t Capacity, Gravity Empty Through Screens, Awaiting Photos. 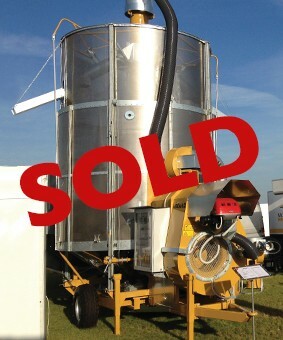 Used GT Opico mobile grain drier, 1990s, Electric drive, LPG burner, 12t capacity, Automatic, Cross auger discharge. 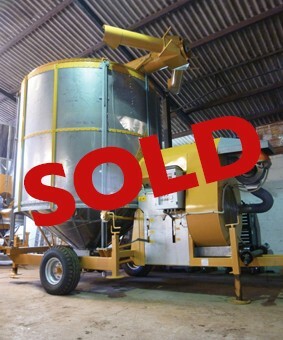 Used GT Opico mobile grain drier, PTO Drive, LPG Burner, 12t Capacity, Gravity Discharge, Centrifugal fan. 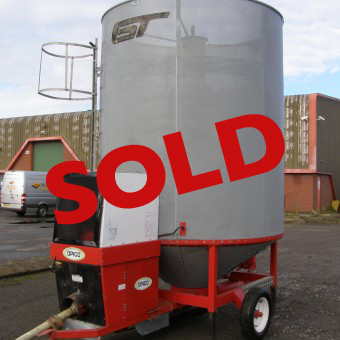 Used Pedrotti Master mobile grain drier, 2003, 2801 hrs, Electric drive, Oil burner, 16t capacity, Aspirator cleaner. 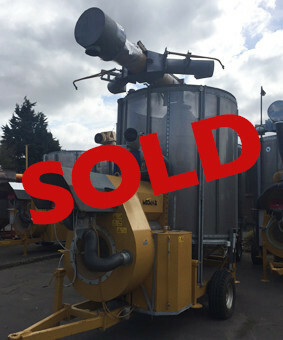 Electric drive, LPG Burner, 18t capacity, Automatic, Cross auger discharge. 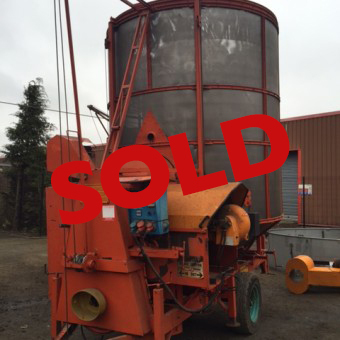 Refurbished in 2013, PTO drive, LPG burner, 12t capacity, Gravity empty over screens. 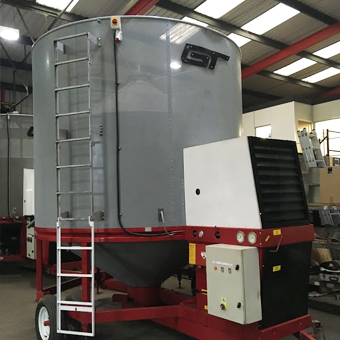 2015, Electric drive, Riello oil burner, 28t capacity, Aspirator cleaner, Automatic, Gravity empty through screen. 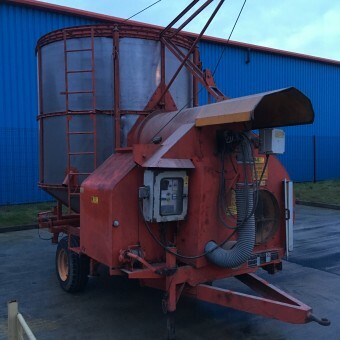 2003, Tractor drive, Riello oil burner, 20t capacity, Gravity empty through screen, Reconditioned. 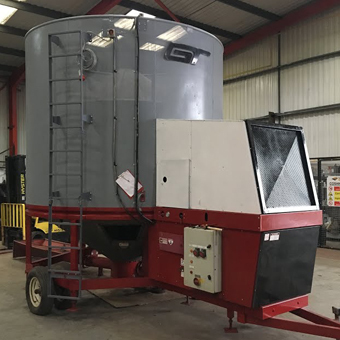 Used GT Opico mobile grain drier, 2009, PTO Drive, LPG Burner, 18t Capacity, Hydraulic Cross Auger Discharge, DCM, New Central Auger Tube and Flight. 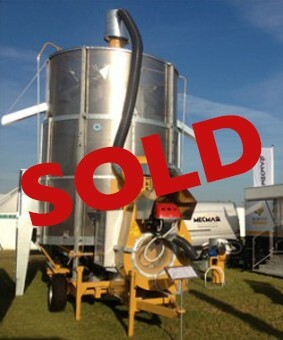 Used GT Opico mobile grain drier, 1998, PTO Drive, LPG Burner, 12t Capacity, Hydraulic Cross Auger Discharge. 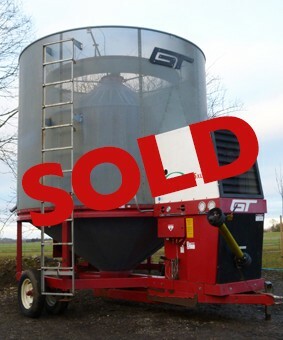 Used GT Opico Mobile Grain Drier, 2009, 555XL, PTO/Electric Drive, LPG Burner, 12t Capacity, Gravity Discharge. 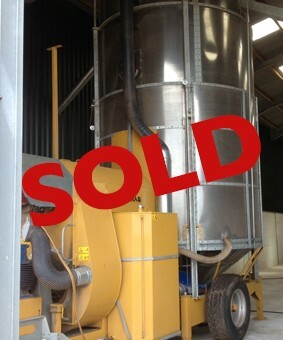 Used GT Opico mobile grain drier, 525XE, 2000, PTO drive, LPG burner, 12t capacity, Gravity discharge. 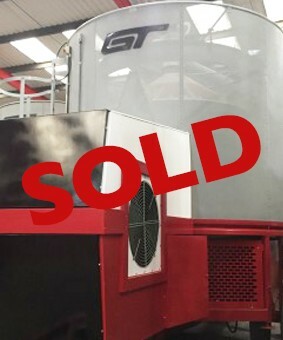 2011, Electric drive, Advanced automatic, Riello oil burner, 722 hours, 25t capacity, Aspirator cleaner. 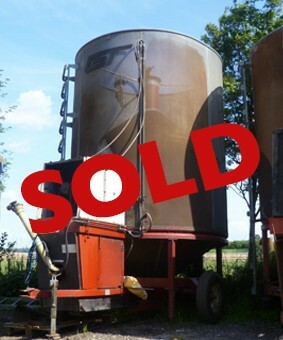 Tractor drive, Riello oil burner, 10t capacity, Gravity empty over screen, Reconditioned. 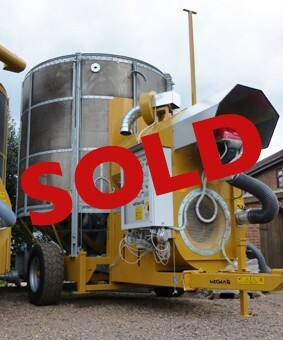 Used Agrimec Opico mobile grain drier, 2009, 2376 hrs, Electric Drive, Oil Burner, Automatic, 12t Capacity, Gravity Discharge. 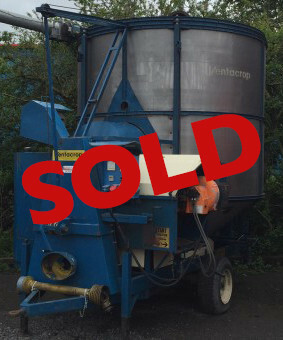 Used Pedrotti Ventacrop mobile grain drier, 1980s, PTO drive, Oil burner, 10t capacity, Gravity empty over screens, 4,938 hours. 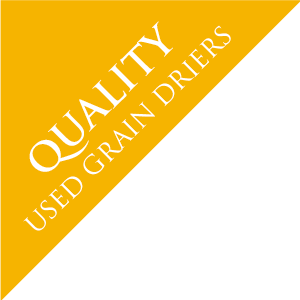 Used GT Opico mobile grain drier, 2002, Electric drive, LPG burner, 12t capacity, Automatic, Cross auger discharge. 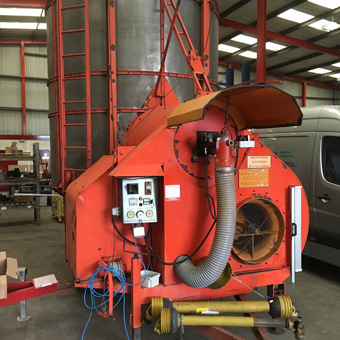 2004, 660 hours, Electric drive, Riello oil burner, 20t capacity, Aspirator cleaner, Extensively serviced. 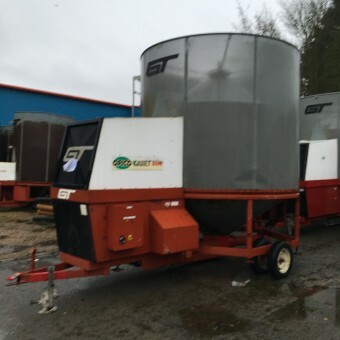 Electric drive, Oil burner, 12t capacity, Gravity empty over screen. 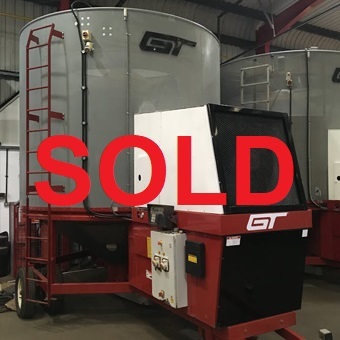 Used GT Opico 800 QF mobile grain drier, 2001, Electric Drive, LPG Burner, Automatic, 18t Capacity, Electric Cross Auger Discharge. 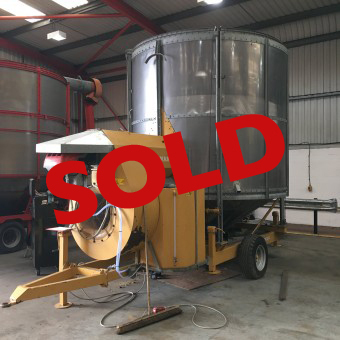 Used Pedrotti Master mobile grain drier, 2007, 2254 hours, Electric drive, Oil burner, 25t capacity, Automatic, Aspirator cleaner, Auto-lube, Gravity Empty Over Screens. 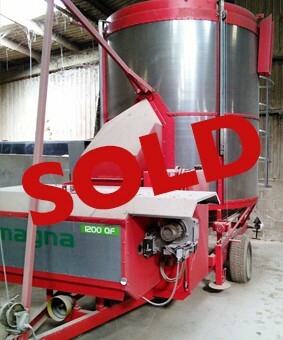 Used Pedrotti Master mobile grain drier, 2007, 2492 hours, Electric drive, Oil burner, 16t capacity, Automatic, Aspirator cleaner. 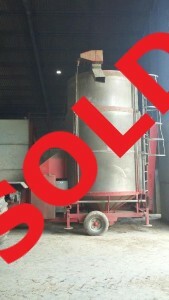 1997, Electric drive, LPG burner, 12t capacity, Gravity swivel top discharge. 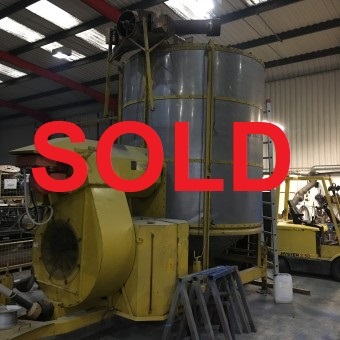 Tractor drive, Riello oil burner, 15t capacity, Extensively serviced. 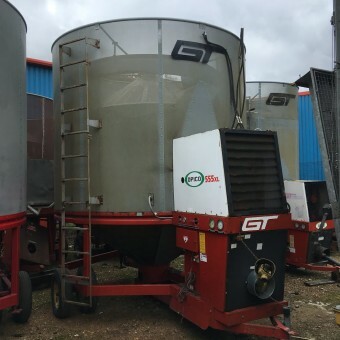 PTO drive, Oil burner, 12t capacity, Gravity empty over screen. 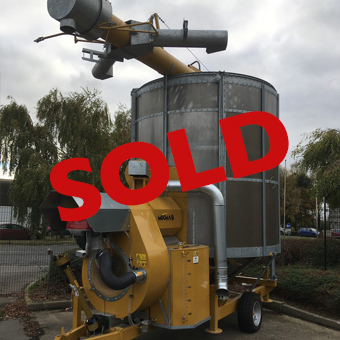 Refurbished Mecmar 25/90 mobile grain drier, 1996, PTO Drive, Oil Burner, 25t Capacity, Cross Auger Unload, New Control Panel, New Riello Oil Burner, New Wearing Parts. 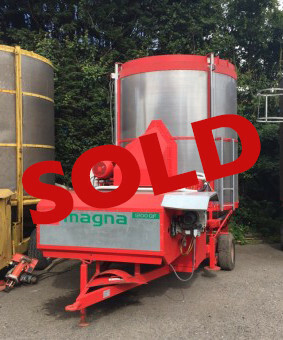 Used Mecmar mobile grain drier, 2014, 566 burner hours, Electric Drive, Oil Burner, Automatic, 18t Capacity, Gravity Empty to Both Sides, 44t Galvanised Loading Hopper. 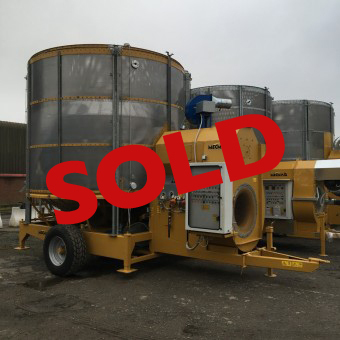 Used Pedrotti Master mobile grain drier, 2010, 3100 hours, PTO drive, Oil burner, 27t capacity, Aspirator cleaner, Auotlube, Gravity empty over screens. 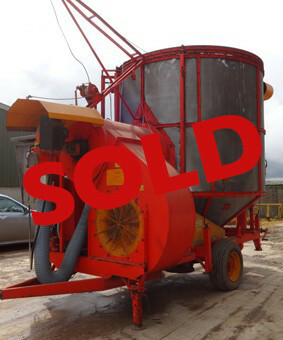 Pedrotti/Master mobile grain drier, PTO drive, Oil burner, 10t capacity, Gravity empty over screens, 4732hrs. 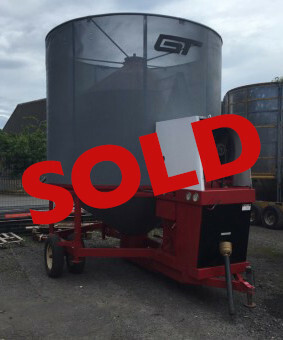 Tractor drive, LPG burner, 12t capacity, Gravity empty over screen. 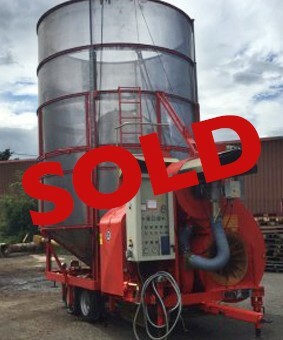 Used Mecmar D 24 T mobile grain drier, 2016, PTO Drive, Riello Oil Burner, Gravity Empty Through Screens, Aspirator Cleaner, 24t Capacity. 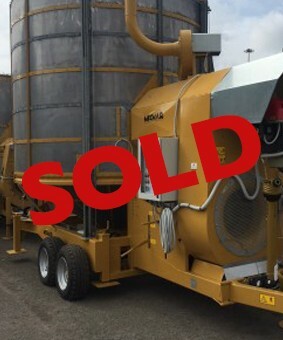 Used Mecmar mobile grain drier, 2011, 466 hrs, Electric Drive, Riello Oil Burner, Automatic, Aspirator Cleaner, 13t Capacity, Gravity Discharge. 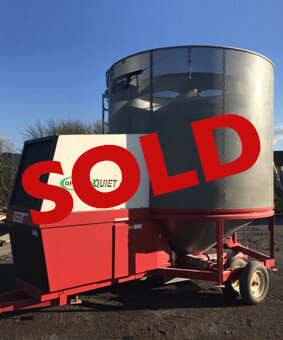 Used Pedrotti Master mobile grain drier, 2008, 2733 hours, Electric drive, Oil burner, 25t capacity, Aspirator cleaner, Gravity empty over screens. 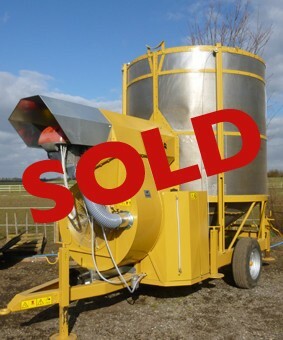 Used GT Opico Mobile Grain Drier, 1999, Electric drive, LPG burner, 12t capacity, Automatic, Cross auger discharge. 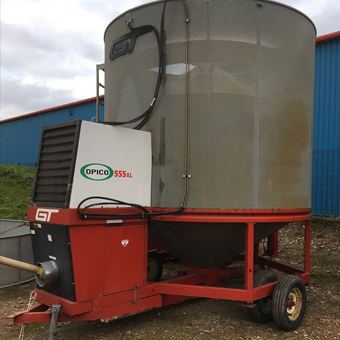 Refurbished Mecmar 13/90 mobile grain drier, PTO Drive, Riello Oil Burner, Gravity Empty, 13t Capacity, New Control Panel, New Riello Burner, New Wearing Parts. 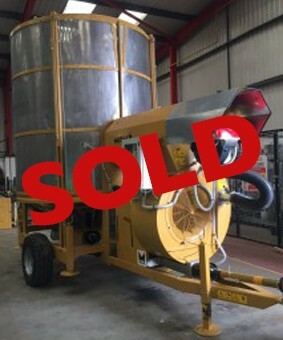 Used GT Opico mobile grain drier, PTO Drive, LPG Burner, 12t Capacity, Gravity Discharge. 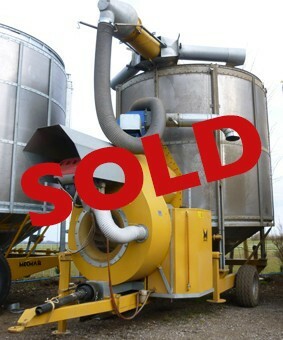 Used GT Opico mobile grain drier, 2001, Electric drive, LPG Burner, 18t capacity, Centrifugal Fan, Cross auger discharge. 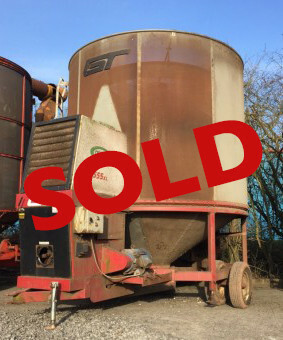 Used Pedrotti Master mobile grain drier, 1997, 3,460 hours, Electric drive, Oil burner, 12t capacity, Gravity empty over screen. 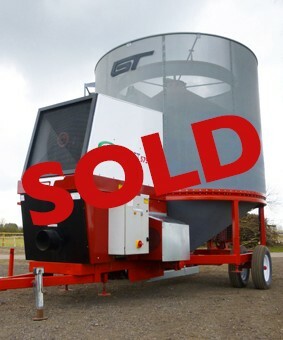 2015, Electric drive, Riello Oil burner, 14t capacity, Automatic, Cross auger to both sides, Brand new machine. 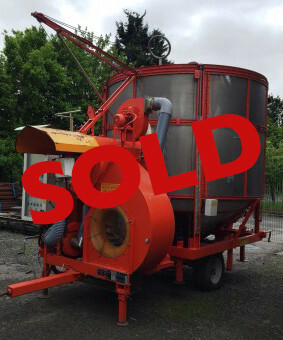 2015, Electric drive, Riello oil burner, 18t capacity, Aspirator cleaner, Automatic, Gravity empty through screen. 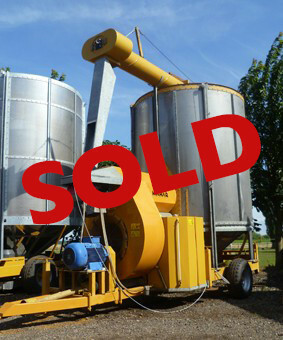 Used GT Opico 555 XL mobile grain drier, 1998, PTO Drive, LPG Burner, Hydraulic Cross Auger Discharge, 12t Capacity. 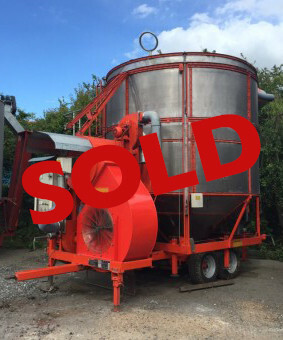 Brand new Mecmar mobile grain drier, Exhibition Stock, D 18 T, Electric Drive, Riello Oil Burner, Automatic, 18t Capacity, Gravity Empty. 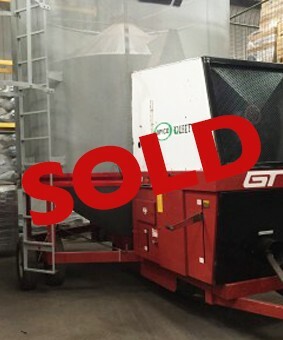 Pedrotti Master mobile grain drier, PTO drive, Oil burner, 10t capacity, Gravity empty over screens, 4,609hrs. 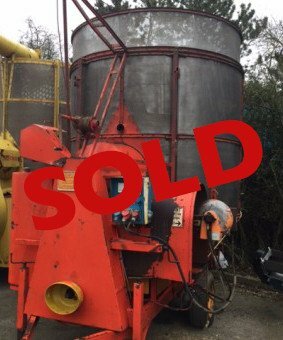 1998, Dual drive, Riello oil burner, 13t capacity, Gravity empty through screen. 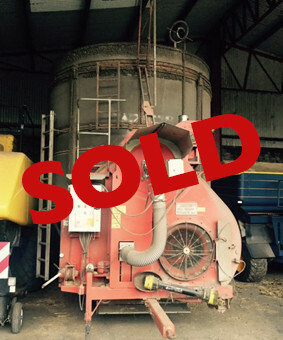 2009, 156 hours, Tractor drive, Riello oil burner, 18t capacity, Aspirator cleaner, Gravity empty through screen, Extensively serviced. 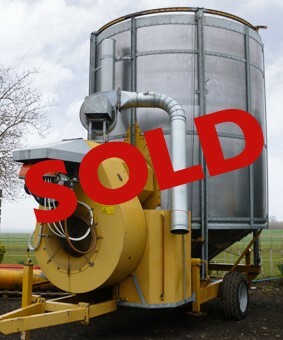 2012, 182 hours, Dual drive, Riello oil burner, 28t capacity, Aspirator cleaner, Gravity empty through screen.